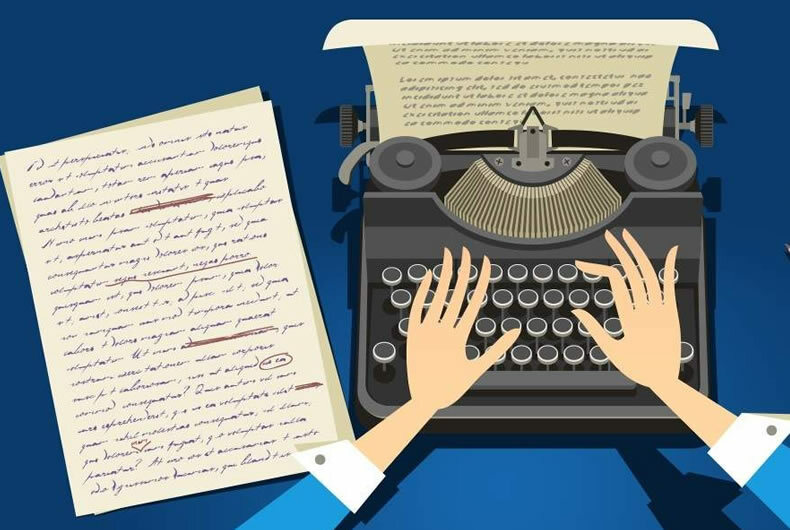 "Copywriting Guide: How to Prepare Your Content for Translation" posted on 10/19/2018 at 4:43 PM by writer. This article is the guide not only for a copywriter or a freelance translator who is preparing the text for a website or doing it translation, any website owner will find it very helpful and could reduce their expenses using these simple tips. We tried to accumulate the most important aspects that could affect the translation process at different stages and which may seem unclear for a person who is not familiar to it. All your texts have to be proofread very thoroughly. This is the first step with optimizing your text for the customers as well as for future translation purposes. The content of your website you’re willing to translate is pretty sensitive to grammar and spelling mistakes, because first of all it may affect the way it appears in special programs which translators work with (we’ll speak about it later in the article) and finally the meaning could be understood differently so the translator will have to contact you frequently to get various confirmations. To save everyone from these distractions and make the entire translation process easier make sure that there are as few mistakes as possible in your texts. It’s typical that the text is written by a person seems very well written to this particular person, but unfortunately not to most others. This is good to know to keep the option open for third party opinions. When we are talking about translating your content into different languages this is not the best idea if you are not a native speaker and most important not an expert in this area. It’s smart to choose a professional (if it’s the entire website that needs to be translated, then a translation agency is the best option) and trust their knowledge and expert opinion. However, it also necessary to check performed translations and have several opinions on them. So do not neglect asking for an extra opinion about your text. Ask your colleague or if you have a focus-group available that’s even better. The more people approve and like it, the better result you can expect. Usually we don’t think about the text format and use our text as we see it best and easiest in our websites. However, it will be helpful in the future to have all your texts in one format and in one place. When you’re posting new text content on your website store all the source data in a safe place. Keeping all your texts in simple “.doc” document will absolutely be enough. When adding your texts to a document try to stick to the same format for all your texts (indenting, bullet points, numbered lists, breaks, etc). If some text that is used on your website and missing in your storage, than take some time to copy them and place there, because when you will need translation this will save you a lot of time and money. The main reason to do this is that most professional translators use special software and programs to work on translations, for example “CAT tool”. The main function of a CAT tool is to save the translation units in a database, called translation memory (TM), so that they can be re-used for any other text, or even in the same text. Simple “MS word’ format will be available to use with most those programs. If you don’t have the source files and ask the translator or the agency to translate everything using your actual website it will cost you more because of the additional work. Also, it’s important to use the same font size and text length on all of the pages of your website. Sometimes it may be very difficult, but this is the general rule that is better to follow. Not all languages have the similar length of characters and the number of characters may significantly vary after the translation of some languages, also some languages are written from left to right, while others are the opposite (e.g. Arabic language). If this was not taken into account from the beginning it will cause issues in allocating your translated text on your site’s pages. When you create content for your website, it’s reasonable to make it more user-friendly,easily read and for some pages of your website (in most cases for all of them) well selling. When copywriters are writing a selling text they need to attract customers, to point out to them the problems and issues this product or service may resolve. While doing this they are trying to use unusual tactics and methods of communication with the customers and trying to have an impact on them. This often leads to using a lot of special lexicon, slang, sometimes trending jokes and even specific mentality tricks. From the point of a copywriters view and sales generation it’s very reasonable and effective. However, it may sometimes have a bad impact on the translation process. According to the best practices of creating a localization base it is advised not to use too much slang, idioms, etc. When your content is the subject for translation you need to keep it as simple as possible and as clear to as many different nationalities as possible. When localizing your website you need to keep in mind that it’s not something that is supposed to be done from scratch for every other language you are doing localization into. It’s crucial to create a localization base from the very first time. All the details and features of your content will be stored in the so-called translation memory, which is a base for all your future localizations. Terminology Management: Get It Right The First Time 6 Steps to Significantly Reduce Translation Costs Google Translate Secret Functions When is The Best Time to Localize the Game?